We proceeded to Fortress Armourial after visiting Ruins of St Paul's. 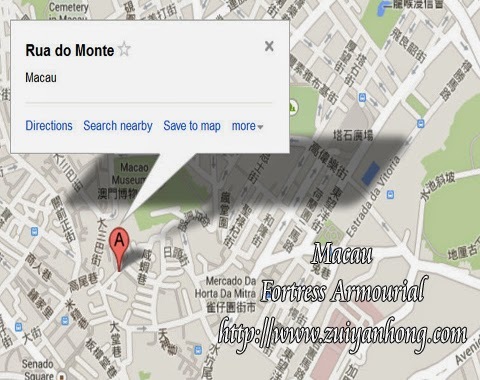 This Google map shows the location of Fortress Armourial. It is located on a hill near Ruins of St Paul's. 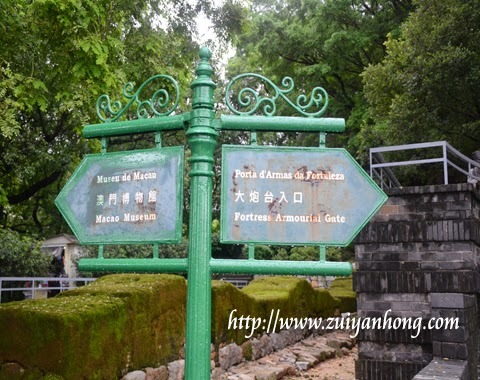 These are the road signs showing the way to Macau Museum and Fortress Armourial at the gate to Fortress Armourial. The statue of Matteo Ricci erects at the foothill of Fortress Armourial. 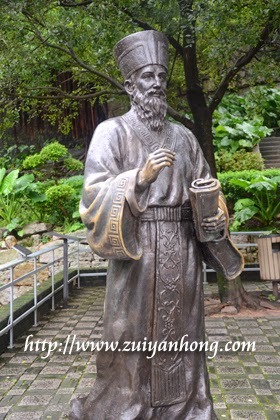 Matteo Ricci was an Italian priest who had been preaching in China. The statue of Matteo Ricci is a hot spot for tourists to take photo. 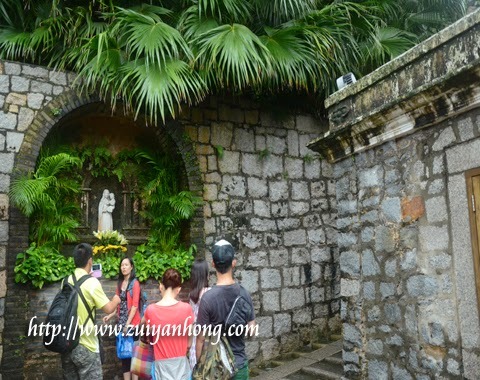 As shown in the above photo, some tourists were taking photo with the statue of Matteo Ricci. 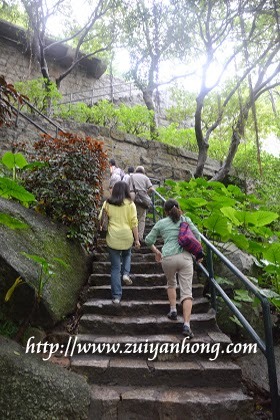 Fortunately there are stone steps for visitors getting to Fortress Armourial. If not we won't climb to the top of the hill. 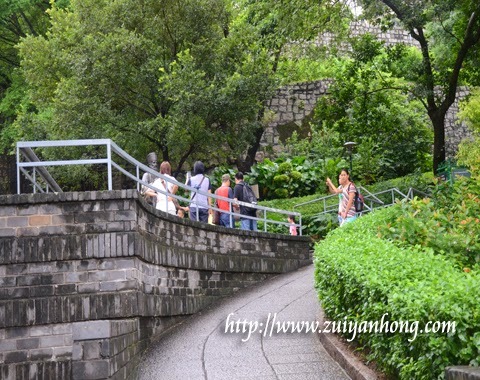 It shows that Macau Tourism Board is truly caring for tourists. 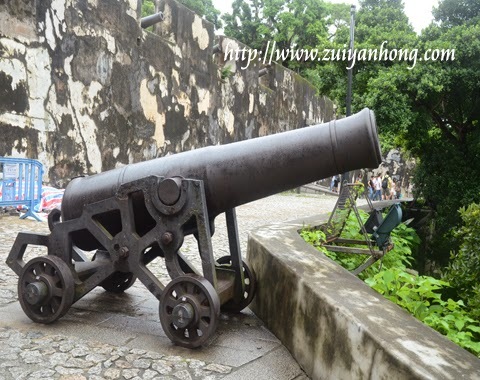 This is another popular location for tourists to snap photos at Fortress Armourial. Photography seems to be a common hobby among the travelers around the world nowadays. If you are thirsty after getting to the top of the hill, don’t worry because a refreshment shop is available at Fortress Armourial. 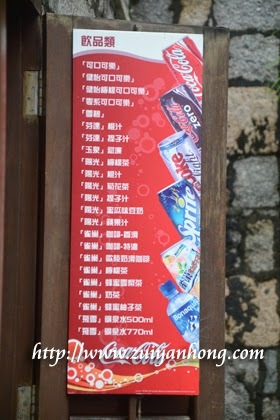 A wide range of cold drink and hot drink are sold for your selection. This photo was taken from Fortress Armourial. 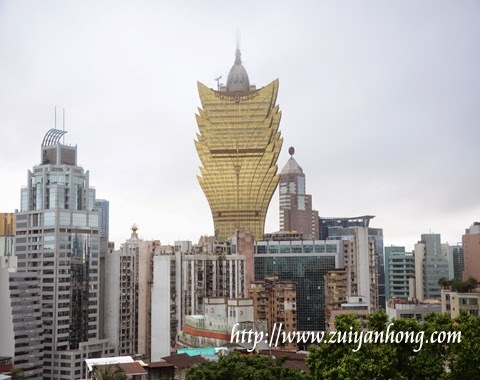 The unique building in yellow color is Macau Grand Lisboa Hotel. It’s one of the renowned landmarks of Macau. Another photo captured from different angle from Fortress Armourial. 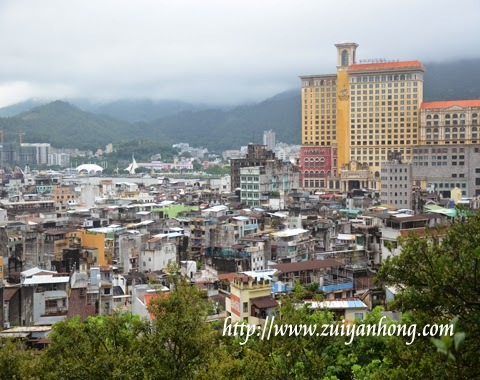 The scattered low buildings are the old buildings that are still can be found in Macau city.